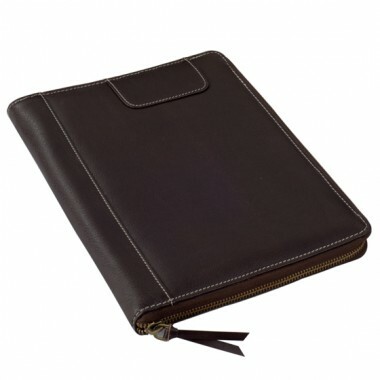 Natural milled genuine leather B5 size padfolio. Compact design with metal zipper. Soft & luxurious touch & feel of genuine leather. Attractive All - Curve inside design with contrast seaming. Take B5 size top bound or side bound pad. Gusseted, zippered pocket for your valuable papers. Beautifully crafted credit card slots - takes 6 cards. ID Window with clear vinyl. Soft and luxurious natural milled genuine cow hide. 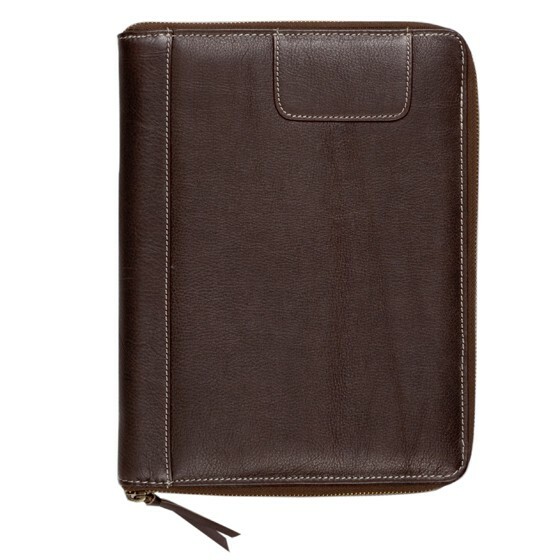 This exquisite B5 size padfolio / folder is secured with metal zippers. Full featured yet compact & handly in apperance eZeeBags Style No SQ037B5 will make a great conference giveaway. Space for embossing your brand both on the inside as well as outside. 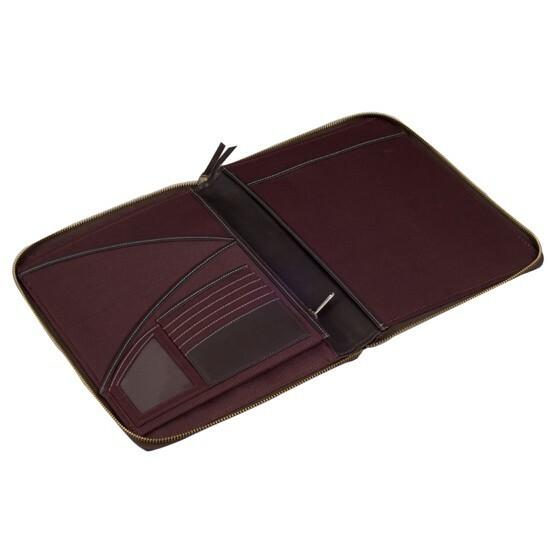 Opening the durable metallic zipper spread the padfolio's neatly arranged interior. Any B5 size pad fits on the right side while the left side has a extra large gusseted zippered pocket for all your valuable papers. Multiple pocket above the zipper compartment keeps papers organised. All - Curve credit card pocket and an ID window make the folder a great utility. Can be scaled to A5, A6 & slim line sizes. Fully customizable to meet your specs and budget.